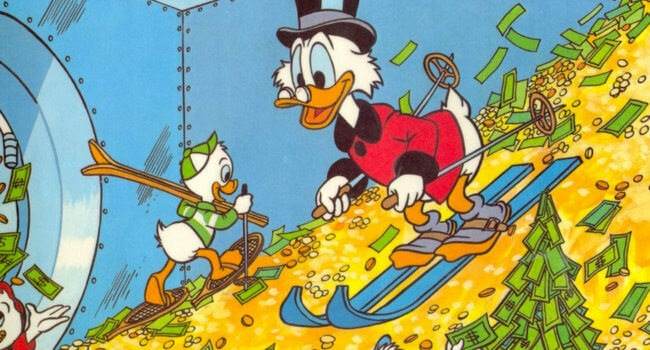 In DuckTales, Scrooge McDuck is the richest duck in the world, with a pile of gold coins so vast that he’s able to swim in it. 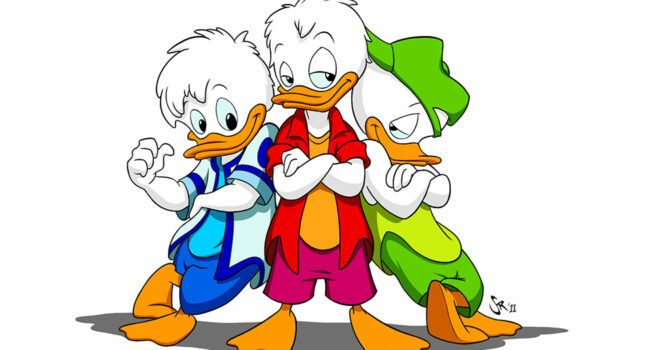 When Donald Duck is shipped off to the navy, nephews Huey, Dewey, and Louie are left in their Uncle Scrooge’s care. Skip the pants for the authentic look, as Scrooge, like Donald Duck, went pantsless.